The first episode premieres April 14th. 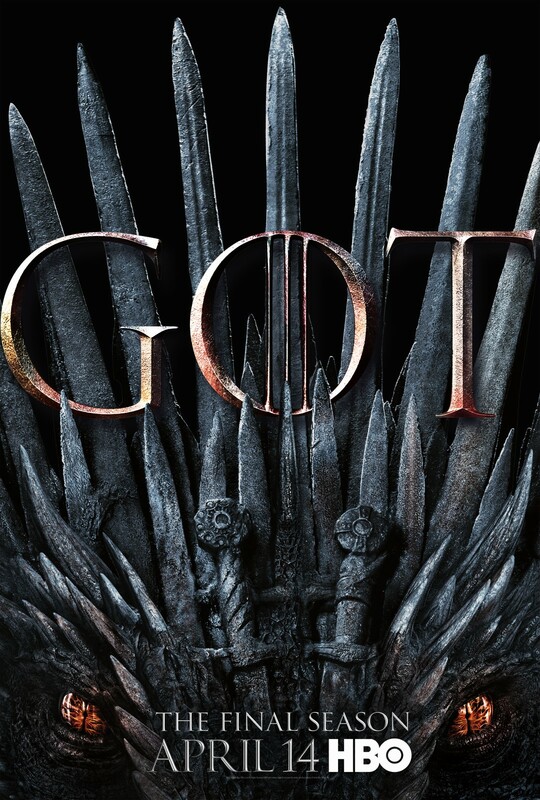 HBO has just announced that on May 26th—the week after the airing of the final episode of Game of Thrones—a two hour documentary by filmmaker Jeanie Finaly covering the filming of the final season. For a year, acclaimed British filmmaker Jeanie Finlay was embedded on the set of the hit HBO series “Game of Thrones,” chronicling the creation of the show’s most ambitious and complicated season. 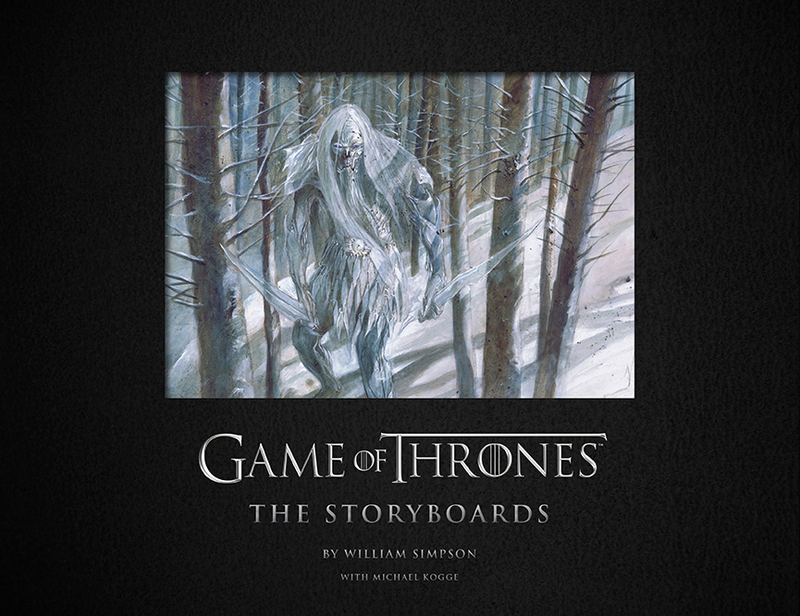 Game of Thrones: The Storyboards - Due Summer 2019, this 320 page art book contains storyboards from artist William Simpson, who’s worked on the show from the beginning. The Photography of Game of Thrones - Another 320 page book, this one due November 2019, collecting Helen Sloan’s extensive photography across all the seasons of the show. The Art of Game of Thrones - 320 pages, due October 2019, devoted to production art for the series. This would include things like matte paintings, character and location designs, and more. Game of Thrones: The Costumes - The shortest of the books, listed at 224 pages due November 2019, this will undoubtedly present photographs and design sketches of Michelle Clapton’s award-winning costumes on the show. And on the same day, EW released a pictorial focused on the weapons of the TV shows, with comments from Tommy Dunne, the weapons master on the show who oversaw the armoury that produced the weapons seen in the series. The recent announcement that long-time HBO head Richard Plepler was leaving the company following word that the recent merger of AT&T and Time Warner meant some significant reorganization caused something of a stir. The rumors that Bob Greenblatt, formerly head of NBC, would come over to take over have panned out, with HBO and Turner now being folded into a new entity, WarnerMedia. This has led to fans of Game of Thrones and HBO in general wondering what the future holds. Greenblatt has provided some interviews, and one in particular to The Wrap touches directly on the topic of the potential of a Game of Thrones franchise. The headline that goes with this might seem alarming—“New HBO Boss Bob Greenblatt Doesn’t Know if Doing 2 ‘Game of Thrones’ Spinoffs Is Feasible â`“ Let Alone One”—but reading the actual quotes suggest that it’s overstating Greenblatt’s remarks. 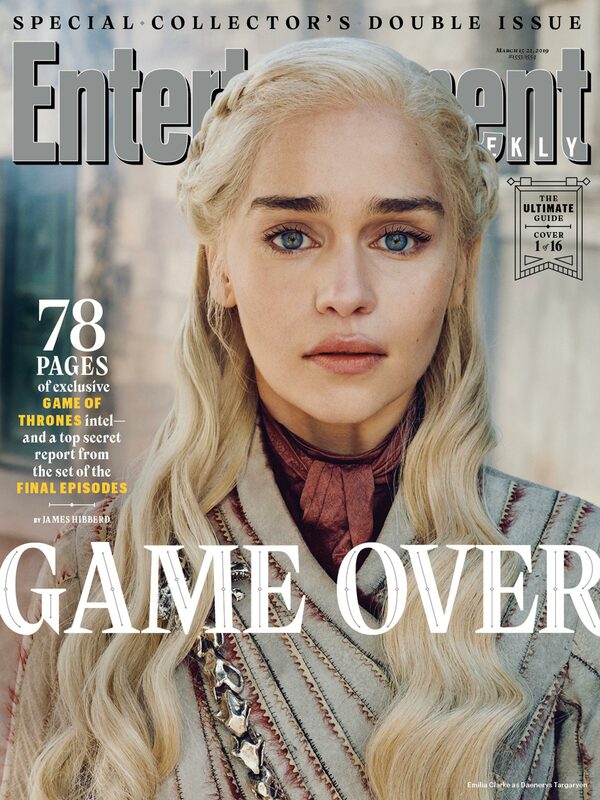 EW has begun the onslaught of Game of Thrones promotion with a bang, unleashing a special issue with sixteen different covers—pairing pretty well with the twenty official photos HBO released over the weekend. According to EW, the Game of Thrones prequel/successor headed by Jane Goldman is set to begin production in the early Summer. 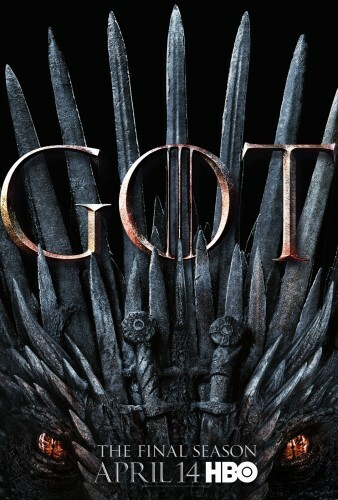 James Hibberd reports that Casey Bloys, HBO’s programming president, has previously indicated that a new show won’t air until at least a year has passed from the airing of the last season of Game of Thrones, so a late 2020 or 2021 premiere for the show if it’s ordered to series. Whether “The Long Night”—as George R.R. Martin unofficially calls it—will make it that far is anyone’s guess, but the pilot’s cast has shaped up, with Naomi Watts headlining. was set to helm the as-yet unnamed new Star Trek film. Joining her and the previously-announced Naomi Watts and Josh Whitehouse are eight additional actors. See their details below! HBO has posted two videos, with the hashtag #ForTheThrone, to promote the 8th season. In the process, they confirm expectations that the final season will premiere in April, 2019. We were in the midst of writing up our post about yesterday’s big casting news that the splendid Naomi Watts had been cast for the pilot of the Game of Thrones successor/prequel, tenatively titled The Long Night, when news broke of a second lead actor being announced: Josh Whitehouse, a British actor that fans of Poldark (as we are) will recognize as the romantic, tragic Hugh Armitage. “Socialite” has raised eyebrows among fans, as the sort of society that has a “fashionable” or “high” society doesn’t seem like it would fit a Bronze Age-like era as described in the novels. Some interesting thoughts have been put forward, such as her character actually being from Essos and one of the more advanced civilizations that existed there while Westeros was near to barbaric. For my part, I’m guessing that the term is being used very loosely to indicate a character who has made many alliances through personal connections, a “peace-weaver” if you will, after the fashion of the Anglo-Saxon conception of noblewomen binding feuding tribes together through marriage and through their conduct as hostesses and advisors. But we’ll have to wait and see. Responding to the news, George R.R. Martin weighed in with the expectation that there’d be more announcements soon (as there has been) and the fact that “a couple” of the pitched projects are still being developed, one or more of which may relate to Fire and Blood and its history of the Targaryens from Aegon I to the regency of Aegon III. The word “couple” might well suggest that of the four or five pitches made to HBO, a couple have now fallen by the wayside. Whether this includes Bryan Cogman’s pitch, which we know involved GRRM closely, we do not know but his recently announced overall deal with Amazon does suggest it. Next video will be on the Winterfell Festival itself! And if you missed it, here’s a taste of that, a Q&A with Ian McElhinney. Via EW, HBO exec Casey Bloys provided some light at the end of the tunnel for eager Game of Thrones fans, indicating that the final season of the show will be airing in the first half of 2019. Given that in general the show has started airing in March or April, it seems odds are good for the final season to follow suit. 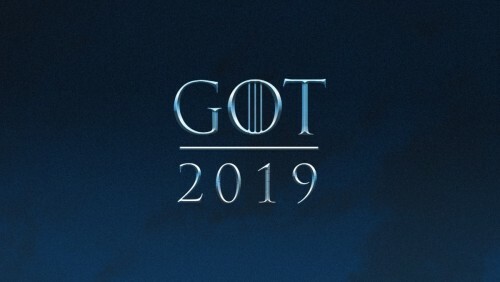 Besides that, Bloys has also clarified earlier reports sourced from the Belfast Telegraph which indicated an October date for the production of Jane Goldman’s pilot for a Game of Thrones prequel/successor show. Bloys indicated that in fact a director has not yet been found (which may put paid to the idea that Goldman’s gotten Matthew Vaughn on board) and that in fact they’re hoping to get the pilot into production early next year. How this fits into the Telegraph’s report of trying to find a window to use the Paint Hall studio facilities is unclear. An interesting set of reports from yesterday touch on HBO’s future and the future of Game of Thrones. First, the Belfast Telegraph reports that allegedly staff at Paint Hall—the massive studio space used by Game of Thrones as its main base of operations for all of its seasons—have been told that the prequel pilot ordered back in June will begin filming this October. Suffice it to say, if true, this is a very fast production path by HBO standards. By way of comparison, the original Game of Thrones pilot was ordered in November 2008 but filming did not begin until October 2009—almost a full year after. And Damon Lindelof’s Watchmen show had a pilot order in September, and began filming in May, eight months later. If the Telegraph’s report is accurate, it’ll just be four months from pilot order to pilot shoot. But it’s important to stress that caveat—it’s entirely possible that October will see the beginnings of pre-production, such as set building, location scouting, and costuming, rather than actual filming. What can it mean, however, if this tight deadline really is true? We have two thoughts on it.